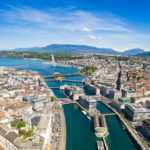 Ahead of the automatic exchange of bank account information, which comes into effect at the beginning of next year, Swiss residents with undeclared foreign bank accounts are rushing to come clean to the tax authorities, according to Swiss broadcaster RTS. According to RTS, 380 have come forward in Fribourg, 173 in Valais, 254 in Jura, around 2,000 in Neuchâtel and 4,000 in Geneva. The canton of Vaud did not provide any figures. 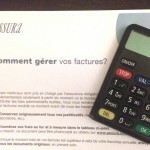 The head tax inspecter in Fribourg told the broadcaster that they had been receiving 50 to 60 a week. The number Fribourg has received over the last four months is as many as they received in all of 2016. The 2,000 received so far in 2017 in Neuchâtel is more than double last year’s number. Geneva though has had the largest number in absolute terms, around 4,000 compared to the 2,836 over all of 2016. 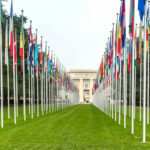 According to Roland Godel, spokesperson for Geneva’s finance department, around 80% relate to small or medium taxpayers with houses and bank accounts abroad. Italians, Spanish and Portuguese are numerous among those coming forward, declaring houses in their home countries along with bank accounts linked to these properties. Those declaring their undeclared assets hope to avoid fines. From 1 January 2018, Switzerland will exchange bank account information with numerous countries. Those caught risk fines as well as back taxes and interest. Coming clean before next year will result in 10 years of back taxes but no fines, according to RTS.